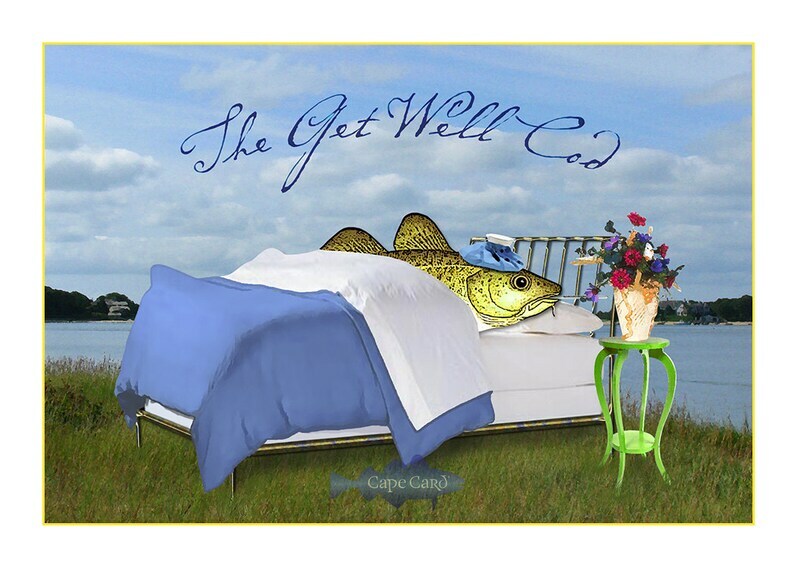 This version of The Get Well Cod has the sick cod in bed on Garrison Point in West Bay, Osterville. The card measures 7x5 inches and is packaged with an envelope in a clear cello sleeve. The card is printed on heavy glossy cover stock with the inside uncoated for writing. This card is also part of the "Box of Cods" collection. Cover design and illustration copyright © 2010 by Andrew Newman. All rights reserved. The Cape Card® watermark will not appear on the actual card.